I received a box in the mail today. 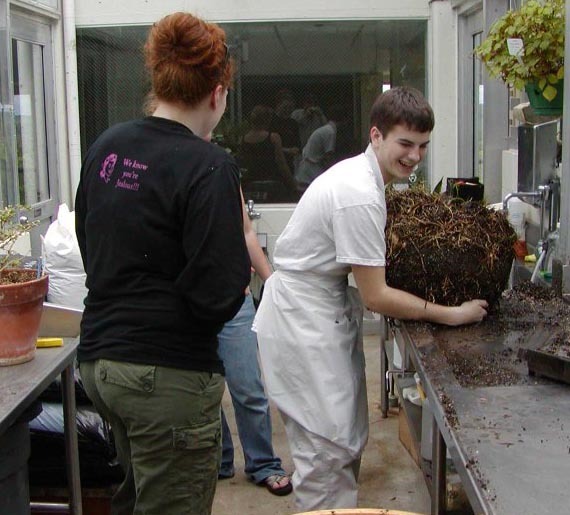 It contained, among other things, one corm of Amorphophallus obscurus and one corm of Amorphophallus pygmaeus. These are Lilliputian versions of Perry. Click on each name for more information. A Google search, using each of the names as a term, will yield a great deal of further information. The thumbnails illustrate the differences in size(! 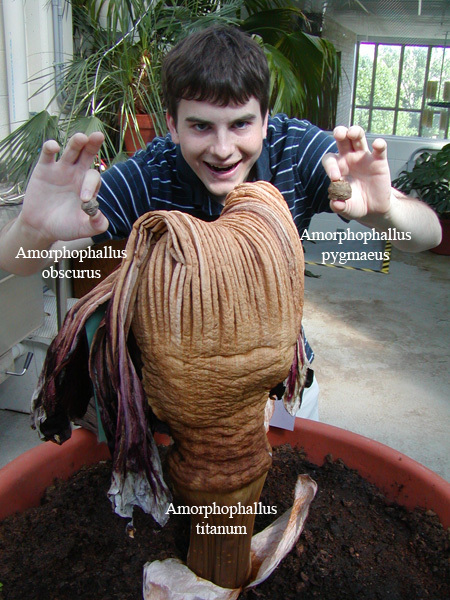 ), scaled to Alex (the second photo is of the corm of Amorphophallus titanum). Click on each for larger versions.